Hey look, that is me uploading a snapchat to my story after Beleskey scored not caring about the salty Blues fan sitting behind me freaking out the whole game. Yeah, I am talking about the guy in the glasses looking up at the video board wondering how Beleskey just destroyed a slap shot into the back of the net, he was the worst. 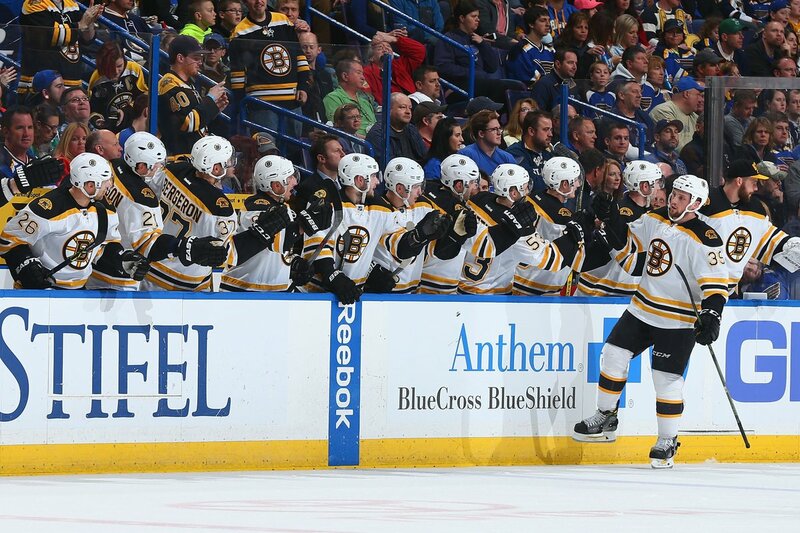 But anyway, the Bruins went into St. Louis needing a big win against a pretty hot Blues team and they did just that. With help from David Krejci’s four point night and the power play scoring two goals, the Bruins were able to beat the red hot Blues goaltending. The Bruins put up six goals on a team who has only allowed one goal in the past total five games. This was no doubt a huge win for the team as Detroit also won their game to stay only one point behind the Bruins. There was a bit of a scary moment in Friday nights game when Kevan Miller went down with what looked like a pretty bad injury to his leg. He was helped off the ice and the Bruins had no further update on him other than he had a lower body injury. He has already been ruled out for the game in Chicago and we do not know how much longer he will be out of the lineup.